A passion for music is something that everybody should have. There is such a vast array of musical styles out there that there is sure to be something for everybody. When you are a parent, you should introduce your child to the world of music. If, at first, it seems as though your little one does not like music at all, you should keep at it. Over time, they will start to adore particular songs and tunes. Music has the power to transport you to another time or place. It is the perfect way to relax after a hard day at work. You don’t want your child to miss out on all music has to offer. When your child is a baby, you should sing to them or play them some music. 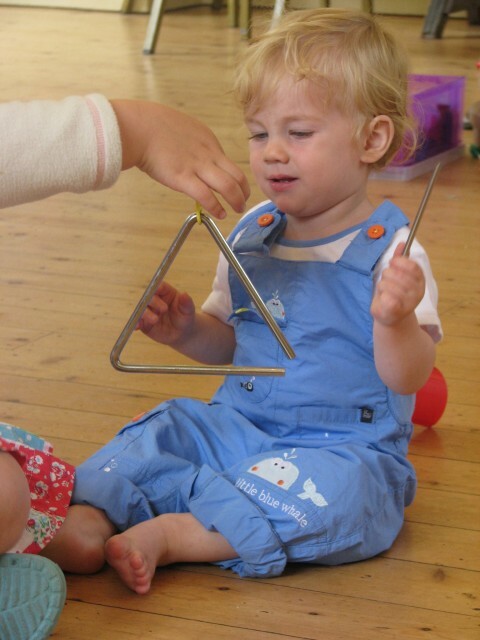 Many studies have found that music can aid the development of young children. That means that playing tunes for your baby could help them to be intelligent in the future. You should choose soft songs that soothe your baby. If you always have some pretty music in the background, you will find that your child acclimatizes to it fast. As your child grows up, it is important that you play loads of different songs in the household. Don’t just stick to one genre of music – your child might have different taste to you. Each morning put on some music while everyone is getting ready to go to work or school. Sometimes, you can let your child choose what you have on. Doing so will give your child a new found respect for music and various songs. We like to use music for a timer for completing tasks. I might put on a piece of music while they tidy their room or brush their teeth..the task has to be completed when the song ends. We also use music at the end of the day at bedtime. My children love falling asleep to audio books and music CDs. A soothing way to drift off. I like to create playlists for car journeys that include music from lots of various styles, including music for children. I will include classical music, country, rock, pop, hip hop, music from various eras, ballads, easy listening etc..a real eclectic mix. My children will often volunteer their opinion on the ones they like or dislike…at which point we usually chat about what it is they do or don’t like. If you want your child to do more than just love music, you should get them an instrument so that they can play music. At home, we have a large box specifically set aside for instruments. It is filled with maracas, shakers, tambourines, bells, a triangle, a small xylophone, castanets, whistles, a small set of cymbals, a small drum and sticks, a small play guitar and other little noise makers. We also have a piano and a proper child sized guitar which was a birthday gift to my son. These are available to my children at all times and they will often just wander over to the instruments for a play. You could start them off with a keyboard from Markson Pianos so that they can learn the basics. Don’t force your child to practice playing music. That will make them hate it, and so they will never want to do it. Instead, you should act as though playing an instrument is a fun game. Encourage your kid to make up tunes and share them with you. Children love to put on shows, and so this is an ideal way to get them to take an interest in music. My daughter loves to play her own tunes on our piano and has recently begun clarinet lessons. We now have a regular musical “jam” as we have enough instruments for everyone to have a go! When you play a song, and your child decides to sing over it, don’t tell them off. You need to let your little one express themselves through music so that they enjoy it, rather than fear it. Children tend to sing all the time when they are little. If you encourage your kid to sing songs and show people their talents, you will find that they start to adore it. Make this a fun activity that you guys do together. You should commend your child when they sing to you so that they know it is a positive thing. If you already have an interest in music, you might want to share it with your child. Tell them what artists and bands you love so that they can discover them for themselves. This method is an excellent way to bond with your child because it means that you will share an interest with them. You can chat about the songs that you love and lyrics that are meaningful to you. Showing your children the value of music is one of the best things you can do for them. Aside from it being a fun way to engage with them – it will help to broaden their horizons.